Being in the UK for the last two weeks and for the next few weeks I thought it was time to write regions other than the Languedoc Roussillon, though I shall be returning to my first wine love soon. Incidentally apologies to my friend David Crossley whose excellent blog‘s name I have pilfered for this post. 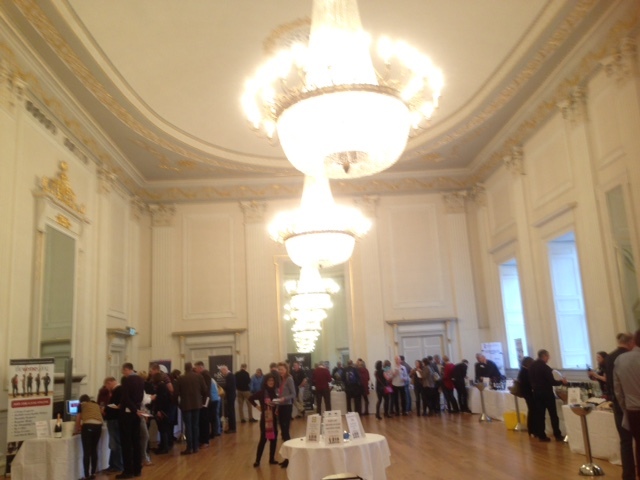 On Saturday I attended the Wine Gang Fair in the Assembly Rooms, Edinburgh and it was an opportunity to taste wines from around the world including a first for me with a wine from Turkey. 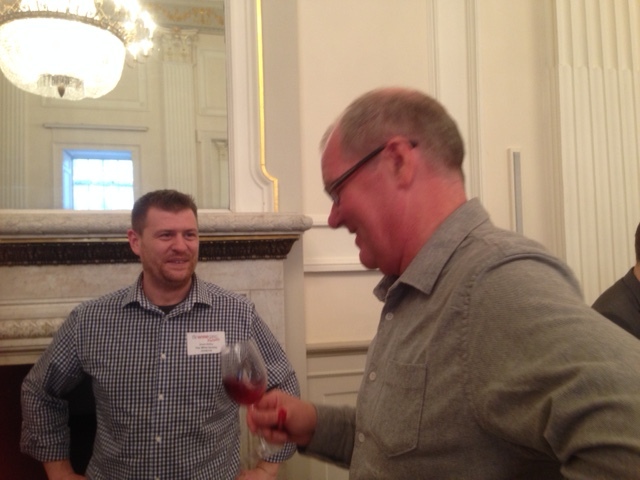 I have long been a member of the winepages forum and its founder Tom Cannavan is one of the Wine Gang along with other respected wine writers. The tasting combined a walk around tasting, with stands from various merchants, supermarkets and specialist importers, but also some specialist masterclasses. In previous years I had tasted some of the most memorable wines of my life including some wonderful Charles Heidsieck champagnes and a range of Gonzalez Byass Palmas sherries. In the walk around tasting I particularly appreciated the sherries (again) and a few port wines too. There were some good table wines too and these were my highlights. Torresilo, Cillar de Silos, 2011, Ribera Del Duero, Spain – a big red, lots of structure and power but balanced with lovely red fruit. Expensive though (£37). Most Wanted Albarino, 2014, Rias Baxas, Spain – I like Albarino wines from Galicia and this added some distinct peachy flavour to the clean, nutty dry nature of the grape. A good buy at £8 from the Co-op supermarket. Carinena 3c, 2014, Grandes Vinos y Vinedos, Spain – Lovely red fruits and freshness, easy drinking but plenty of long lasting flavour from The Wine Society at £5.25! I noticed this was chosen in the Telegraph as an essential Christmas wine, so I am not alone in liking it. A word of praise for Aldi, a supermarket whose wines were interesting and well priced. I enjoyed the Clare Valley Riesling, Sancerre, both 2014, and Chateauneuf Du Pape from La Père Papite 2013. In particular the own label Maynards 40 year old Tawny Port was well balanced, rich but dry, a little oak but lovely. £30 but for a 40 year old wine of such complexity that is a good price. Sadly, the Languedoc was only represented by two wines both of which were awful and the Roussillon had no wines on show. It remains a mystery to me how my region is so poorly represented so often in the UK. Sherry was well represented though nothing of the standard of the beautiful Palmas wines tasted three years ago. Puerto Fino from Lustau was lovely, fresh and bone dry, perfect aperitif wine (£16.49). Vina AB Amontillado from Gonzalez Byass was even better but then I love Amontillado sherries. This starts life as Tio Pepe but then given extra age as the flor dies and becomes, darker coloured, nuttier and a lovely saltiness to refresh. (£13.50). Pedro’s Almacenista Selection Oloroso was very good, nutty and dry (£13.49). Even better in a similar style was Olorosa Solera 1842 VOS, Valdespino. Intense, nutty, rich and so long and refreshing, lovely wine though £39 sadly. Best of all and probably my wine of the day was the Palo Cortado Solera, Cayetano del Pino. Nutty, round, fresh and full, this was really intense and beautifully balanced. Loved it and at £14.50 from The Wine Society this is well worth seeking out, you’d struggle to find a wine of this quality at such a price elsewhere. I shall report on the Masterclasses in my next post, with notes on Nyetimber, Wynns and Cloudy Bay. Categories: Tasting, Wines | Tags: sherry, Wine Gang | Permalink. Glad you got to this event. I wanted to go to the London version but other obligations seem to pile up around this time of year. Any plans for London yet? Sadly not. Train fares seem to have risen enormously since Virgin took over. That, plus 2 nights in hotel means £550 before food, excursions etc. Looking at period between Christmas & New Year still.